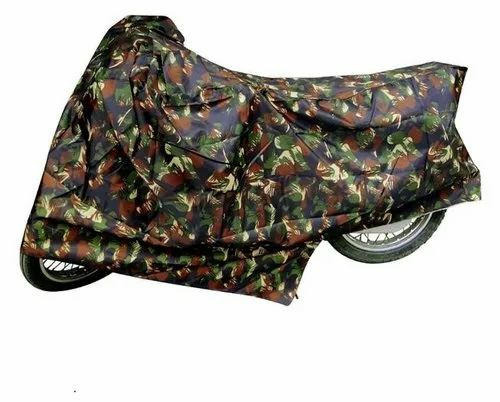 A built-in strap and buckle system to keep bike cover secure in windy conditions. Established in 2006, Subhash Chand Goel And Co . is an eminent company in the market, involved in Manufacturing and Importing of a comprehensive consignment of Umbrella Fabric, Raincoat Fabric, Bike Body Cover, Jacket Fabric, etc. Manufactured using supreme-class basic material along with modern machines and tools, these products could be accessible in miscellaneous sizes, designs and provisions at competitive rates. All these products are provided by us in standard and modified forms to our patrons. Owing to our ingrained infrastructural base, we are affianced in providing a qualitative series of products. This infrastructure is categorized into numerous parts such as procurement, quality testing, manufacturing, research & development and warehousing & packaging. Furnished with contemporary tools and machinery, this infrastructural division supports us to manufacture high-quality series of products. These manufacturing processes are prudently managed beneath the strict direction of our dedicated, trained and knowledgeable professionals. Underneath the direction and command of our mentor Mr Himanshu Goel (Proprietor), we have catered a reputed place in this very competitive industry. His incomparable business capabilities and quality management approaches have supported us to attain an enormous client base all across the nation.